Friesian Stable: Chrytse CJF "Chrissy"
We would like to express our sincere gratitude to Renowned KFPS Breeder, Darcy Miller of Crown Jewel Friesians for the exceptional opportunity to own this beautiful rare filly! Chrytse’s Dam grows a 4 foot long mane, so she has this in her bloodlines. (Julius 486 x Ulke 338 Sport x Oege 267 Preferent x Cobus 248 (from the rare Age 168 line). 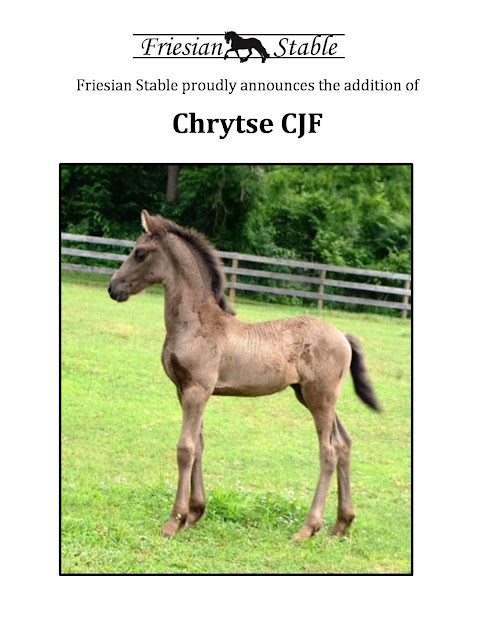 Chrytse has been bred for health, temperament and this line has consistently excelled in sport ability. Chrytse is guaranteed to be 100% free of Hydrocephalus (DNA gene test) and NEGATIVE for Dwarfism (DNA marker test). USEF/USDF (A rated) FHANA World Championship Horse Show HIGH POINT CHAMPION (3) out of 82 Friesians. OPEN Friesian Breed Class OVERALL HIGH POINT FRIESIAN (all genders). USEF/USDF REGIONAL OVERALL HIGH POINT OF THE SHOW CHAMPION and OVERALL SHOW CHAMPION MARE. 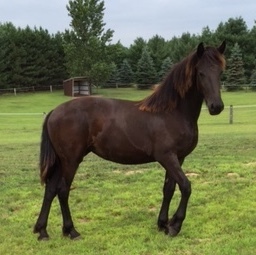 USEF NATIONAL CHAMPION Friesian filly (2 and under). USEF NATIONAL LEADING SIRE (3rd) for performance of offspring of Ulke 338 (Liske E). NEFHC Friesian Horses Classic Horse Show OVER ALL SHOW CHAMPION for Friesian In-hand (3). Mare In-hand CHAMPION. LIBERTY CHAMPION (3) leaving many stallions in her wake. DRESSAGE SUITABILITY CHAMPION. DRESSAGE CHAMPION (Intro B&C). USEF/USDF (A rated) CRAA Horse Show Overall High Point Friesian Champion and Overall High Point Champion Mare. 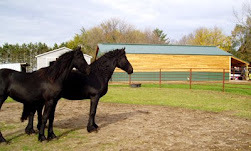 Liske E was retired from competition at an early age to be in the breeding barn! She ended her show career being the NATIONAL POINTS LEADER of both the USEF and IFSHA!